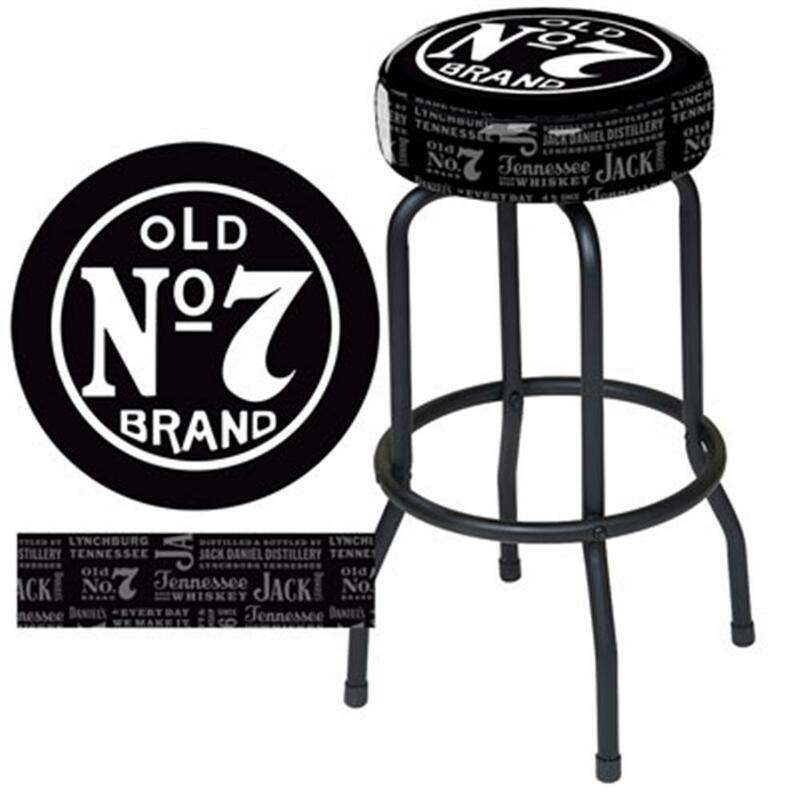 This premium quality Jack Daniel'sLabel Bar Stool is a must for your bar! Stool features heavy gauge 1" tubular steel construction with a triple-plated chrome finish. Classic Jack Daniel's graphics are screened on the underside of the commercial grade vinyl so the design will not scratch or wear off with use. Thick foam padded seat measures 14” wide and rotates on a 360 degree swivel. Easy assembly required. Dimensions: 17" x 17" x 30"H. 250 pound weight capacity.